We believe that Jesus is still calling for the children and we want them to meet Him! 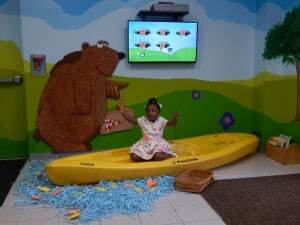 Our Jr. Kid’s Church room provides an engaging environment for our children to do just that. Through high-energy praise and worship DVDs, children are encouraged to dance and sing praises to God! In addition to the praise and worship, our trained teachers will provide quality lessons and activities using First Look Preschool. The hands on learning activities , games, and lessons will keep children engaged in learning 3 key truths: God Made Me, God Loves Me, and Jesus Wants to be My Friend Forever. In addition to the classroom lesson, Small Talk Parent Cue, a family resource comes home with your child each week.